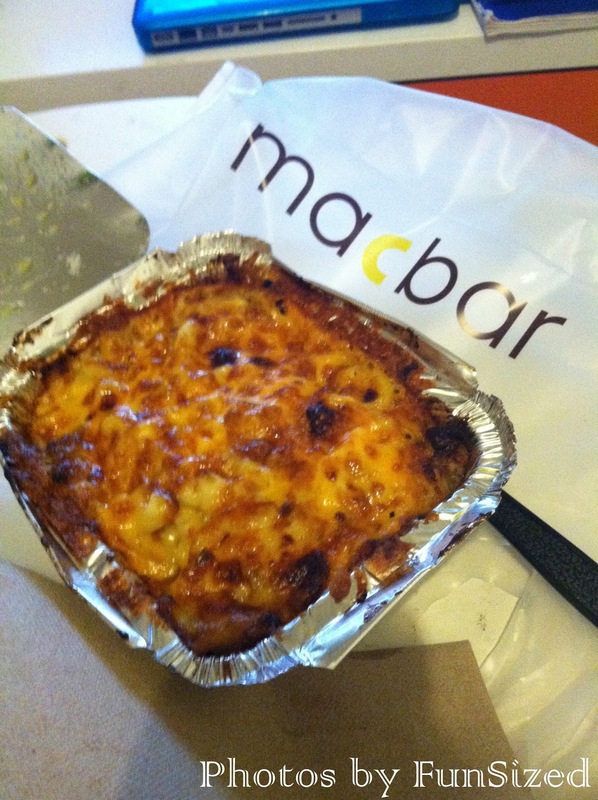 One of my favorite places to go eat when I'm in the mood for a special treat is MacBar. It is located in Soho on Prince Street between Lafayette and Mulberry. Whenever you're in the mood for great mac and cheese this is the place to go! It is mac and cheese on a whole other level. They make so many different and fun kinds. This week I tried the Cheeseburger Mac for the first time! It can come in three different sizes. I got the small... since I'm FunSized, it was just the perfect amount of food for me (probably a bit too much but that's ok!). Just look at it! Doesn't it look delicious? Well, it was! It was driving me mad on the subway home, smelling its goodness coming from the bag. My favorite part is the top where the cheddar cheese is baked on top. The magarita mac is usually my go-to choice but I'm glad I switched it up with teh Cheeseburger mac. I am dying to try the mac lobsta'! One day I'll get it! Follow Mac Bar on Twitter. Have you been to the MacBar? What's your favorite kind of mac to get? Let me know!